A lot of times in global missions we think the work of God’s ministry begins when the missionary arrives on the field. We neglect to remember that God is always at work and he really doesn’t need us to accomplish his perfect plan, really the privilege is ours. My husband, Marco, and I arrived with our children here in Loja just one year ago. We were invited to join SIM Ecuador with the goal of launching a business that would work in the rural areas of Loja province reaching out, building relationships and sharing Christ’s truth in what we understood to be unreached areas. Within a month of living here the city hosted “Festival de Artes Vivas” – a two-week long city-wide arts and cultural event. Almost every plaza in the city was full of vendors selling handicrafts from all over Ecuador. With 15 years of experience exporting Ecuadorian handicrafts my mind was racing with interest. I remember approaching a booth full of black ceramics, thinking to myself, this must be that line of “La Chamba” stoneware out of Colombia. Immediately, I asked the young woman at the booth where her ceramic pieces were from: “Right here in Loja”, was her response. She described her town was situated just outside the city. I had never seen anything like this in Ecuador, I was in shock. I walked across the plaza and saw another booth with the same black ceramics. The woman there confirmed the town was only 45 minutes away. I asked if my family and I could visit someday, took their card and eagerly ran home to tell my husband. About ten days later Marco and I organized a trip with our team leader Mark to visit the studio of the family. From what Mark knew there were no known followers of Christ in Cera. We agreed ahead of time that I would lead the conversation about ceramics and business ideas. Upon arrival we met an older woman named Lida, she just happened to be the mother of the man I had called ahead of time to arrange the visit. She welcomed me into her small ceramics store and told me about her work, then she invited us to follow her to the house of her son, Fernando. After another half an hour conversation with Fernando about designs and exciting business possibilities we felt so thankful that God had given us this opportunity to connect with rural artisans in Loja. But then God in his providence surprised us. As we were leaving Fernando asked Mark what he did. 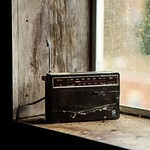 Mark described that he worked with Radio Esperanza (Radio Hope). “Are you a believer then?”, asked Fernando without flinching. Mark confirmed with an immediate response. “Me too!”, shot back Fernando. Then he looked at Marco and I, “Are you guys believers too?”. “Yes, we are!”, we replied. Fernando could not stop smiling. At the time we met Lida, Fernando and his wife Monica, they were the only believers in Cera meeting to share times of prayer and biblical instruction from a pastor that visited weekly. They shared they felt “dry” and searching for a change in their faith walk. Fernando and Monica needed support and didn’t know if they could find it in their small village. They were praying about moving to the city to allow their children a chance to be part of a larger faith community. 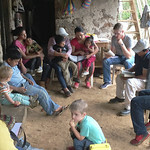 We shared we could provide resources and a weekly bible study if they so desired. So, since January of this year, we have been holding a regular bible study in Cera. We have been training these three courageous believers to lead a bible study themselves and make disciples. In partnership with our local church here in the city of Loja we will be launching a sports ministry to reach out to preteens and teens in Cera. All the while we have been working with Monica and Fernando to design ceramic stoneware samples for the North American market. God led us to Cera, a place he was already at work. It is a privilege to partner with brothers and sisters in Christ, in fulfilling his commission in their own community through a missional business. We remain thankful. 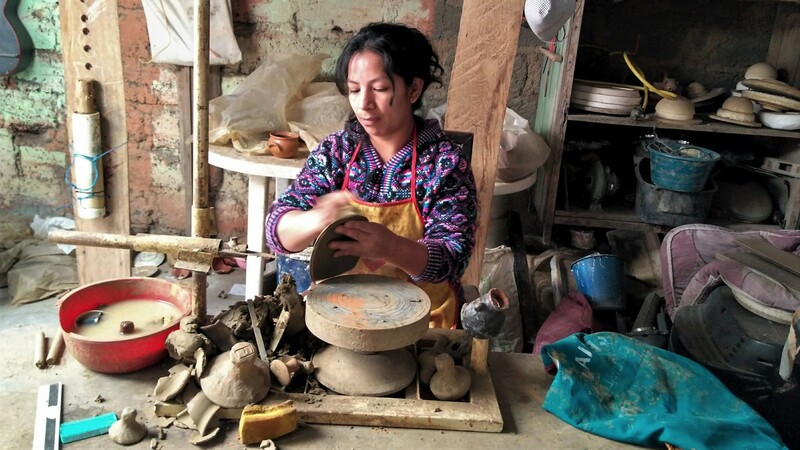 Please pray that the artisans in Cera are able to complete samples for the line of stoneware the Barbees are hoping to export in 2019. Please pray for the launch of the sports ministry this month. Please pray for young leaders from the Barbees’ church to make deep, long lasting relationship with the kids and teens in Cera. 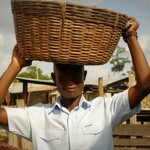 Please pray for the bible study the Barbee lead in Cera, that God would multiply disciples.